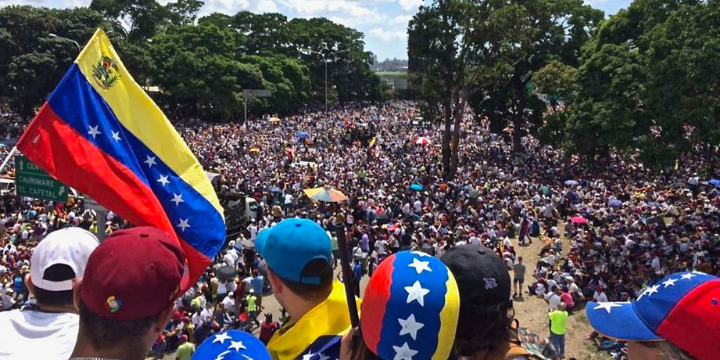 Many Democratic Venezuelan-Americans are seeing the unfolding humanitarian crisis in their native country and it’s driving them away from the Democratic party. Venezuelans are living under military control and suffering from starvation, inflation, and violence. Here in the U.S., Venezuelan immigrants are furious at Democrats for calling on the U.S. to pull out of Venezuela and lift all sanctions against the government. “This is where the Democrats have consistently dropped the ball…they have never felt like it was an important issue…it’s very difficult to feel and coexist in the same party that is saying these things are so ignorant about my homeland,” said Venezuelan immigrant Helena Poleo. The Democratic Party has become so radically socialist it’s not surprising to see so many joining the #WalkAway movement. Despite opposition from many Democratic politicians, the U.S. recognized Juan Guaidó as the legitimate president of Venezuela and has prompted over 60 other nations to follow suit. The United Nations, however, continues to recognize socialist dictator Nicolás Maduro as ruler and roughly 50-member nations have vowed to support him, including China, Cuba, Iran, North Korea, Russia, and Syria. The Democratic Party should really consider severing ties with radical socialism and its supporters because no one is buying it. Venezuela is a prime example of what can happen to any country under a socialist regime. That is why we are marching nationwide on Tax Day, April 15, to make sure such ideologies never take hold here in America. We encourage not just conservatives and tea partiers, but anyone who is tired of their politicians acting cavalier about the threats of socialism. Stop socialism and choose freedom!